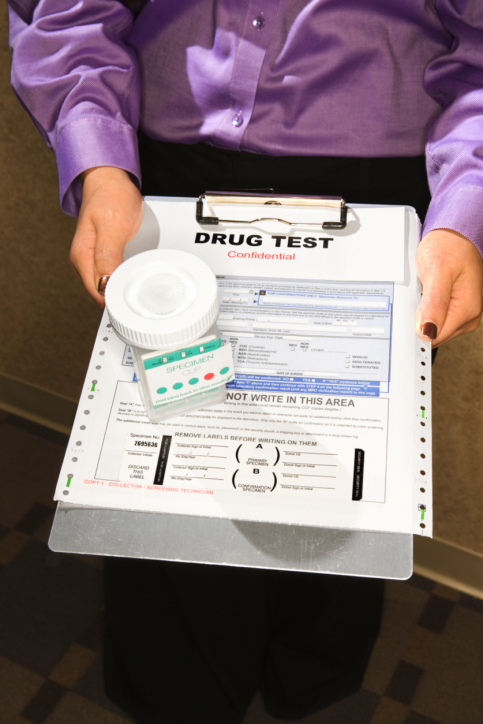 The benefits of drug testing to the organization are clear. For example, upon implementing an extensive drug testing program, the Georgia Power Company’s accident rates at its nuclear plant declined each year from 1981 (5.41% per 200,000 man hours worked) to 1985 (0.49%), and has remained low since. Furthermore, employee drug and alcohol use while on the job can result in catastrophic outcomes. Famously, in 1989 the oil tanker Exxon Valdez struck a reef in Alaska and spilled as much as 750,000 barrels of crude oil into the ocean and surrounding environment. Among the reported causes of this disaster was that the ship’s captain, Joseph Hazelwood, had been heavily drinking over the prior few days, and at the time of the crash was below deck sleeping instead of at his controls. Although one of the ship’s senior officers was in command at the time, the appropriate measures were not taken to guide the ship safely along course, including not turning on the radar that would have alerted them of the present danger. This incident remains one of the largest human-caused environmental disasters in history, and the costs associated with lost oil, clean-up, and damaged public image were astronomic. Although organizations cannot monitor employee behavior off the job, it is reasonable to expect that employees perform their work unimpaired, especially those who work in safety-sensitive positions. Employers have the duty to minimize employee exposure to risk. Thus, taking the necessary measures to avoid drug or alcohol use on the job will help reduce accident and injury rates. Next week, I will speak to the legal side of this issue, and the guidelines organizations must follow to ensure employee rights are maintained.